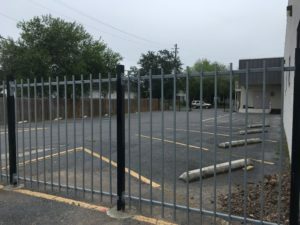 After media inquiries regarding a fence and gate built at the district’s Crockett St. headquarters, school officials said the project is to shelter and protect career technical education (CTE) and administration vehicles. After speculation and public criticism fueled on social media, on Tuesday, school administrators issued a statement after telephone calls and emails by San Benito News and other media outlets went unanswered. Officials said they consulted the Texas Education Agency and the district’s Career Technical Education Director Rolando Guerra before building the $9,800 project. San Benito Code Compliance and Building Inspection Director Bernard Rodriguez said the district filed a permit to build the fence.